A background, foolishly I bought in Blackwater and Mackay when rents were crazy and out look was bright. Now rents in Blackwater have gone from $950pw, purchase price $495k to now $350pw and an agent told me today if I sold now I would expect $200k as there is zero interest in a property like mine. Mackay is a similar story, rent $700pw, PP $485k to $300pw and a $380k expected sale price. 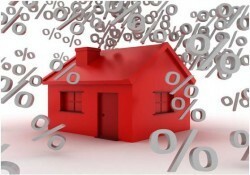 I am currently on a fixed rate for the next few years of 4.89%. I have a house in Sydney that has about $500k equity. My mum lives with my family who has contributed into this purchase so selling this property is not an option. I am looking for some exit strategies or advice on what to do , where to go or a plan moving forward. I am thinking of going to the bank and asking for help. Is this a good idea? Can they foreclose on me if they learn of this situation? Any ideas or suggested life lines would be hugely appreciated. This is being played out across Australia where short sighted investors ignored one simple fact – a Mining Boom is called a Boom because it is almost always followed by a Bust or at the very least a significant adjustment. Do not ever believe property spruikers, developers or even real estate agents as they are never acting in your interest, only their own. If you are in trouble you need to get good advice quickly – and that advice will need to be legal, taxation and mortgage management. Do not leave it until the bank steps in as by then you are no longer in control. ← Hey Dad will you go guarantor for my home loan?